Thank you for visiting, and welcome to Carolyn Roberts' premier real estate website serving Napa Valley, California. Are you thinking of buying a home in the Napa Valley, California area? No matter what you are looking for, as an experienced Napa Valley Real Estate Professional for (approaching) 40 years, and as someone who grew up in beautiful Wine Country of Northern California, I can provide you with every resource available to make your home buying process simple and stress-free, including specific Napa Valley neighborhood information, tools to estimate your mortgage payments, buyer resources and articles, and so many more details and useful information throughout the process. I have literally served generations of Napa Valley home buyers and sellers because families continue to refer to me for all their Real Estate needs year after year. This is truly the best compliment that me and my team can receive. 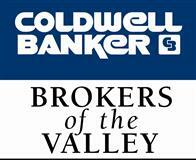 Thinking about selling real estate in the Napa Valley area? No matter which market you're in, tap into the marketing programs and experience of a qualified Napa Valley Real Estate Agent like me to help sell your home quickly and at the right price. Learn more about my service, see information about recent home sales in Napa Valley, and contact me to get started today! Are you interested in more Napa Valley area details? I encourage you to explore this website for heartfelt and unsolicited testimonials from clients, local neighborhood and school details, mortgage information, interactive maps, listings of properties of homes for sale, and many more resources. Please feel free to contact me directly if you have any questions about the Napa Valley real estate market, when considering buying, selling, and generally investing in Napa Valley, California. We are always happy to hear from you.